A further ten pioneers join the Pioneer Obituary Index this month. They include a woman who was a pioneer in the transport industry from Cobden through to Port Campbell and a man who travelled the same routes carting goods. There is also a Coleraine storekeeper, a Colac politician and a man still training racehorses into his eighties. Remember to click on the underlined text to read further information on a subject. ROBERTSON, William – Died 24 June 1892 at Colac. William Robertson was the second son of William Robertson of Colac Estate. He was born in 1839 at Hobart and by 1842, the Robertsons arrived in Victoria. William returned to Hobart for his high school education before studying law at Oxford University. In 1861, he was a member of the winning crew of the annual Oxford vs Cambridge boat race and throughout his life, kept the trophy from the event, a cut-down oar. William returned to Victoria in 1863, marrying Martha Mary Murphy. He worked as a barrister in Melbourne until 1871 when he was successful in winning the seat of Polworth and South Grenville which he held until the next election in 1873 when he didn’t seek reelection. 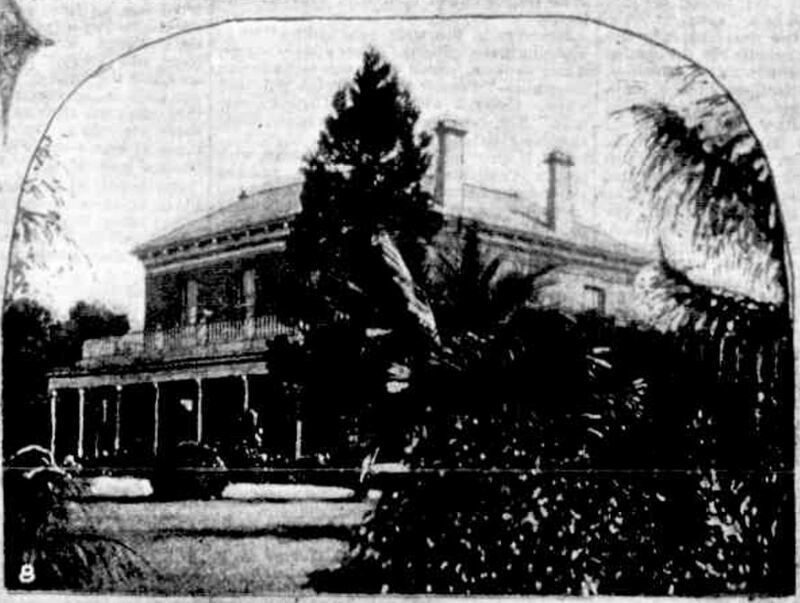 William’s father died the following year and Colac Estate was divided in four for each of William Robertson Sr’s sons. William Jr became the owner of The Hill (below). “THE GOVERNORS DRIVING TOUR.” The Australasian (Melbourne, Vic. : 1864 – 1946) 24 March 1894: 30. Web. 15 Jun 2017 <http://nla.gov.au/nla.news-article138115318&gt;. William returned to politics in 1881, holding the seat of Polworth and South Grenville for the next five years, then in Victoria’s Legislative Council in the seat of South-West Province until 1888. The Robertsons were known Australia wide as breeders of fine Shorthorn cattle and their stock sold for large sums. Williams’ funeral on 28 June 1892 was one of the biggest seen in the district. Various noted men from Colac attended as well as those from the world of politics. Numerous wreaths were sent including one from the Governor. The Colac Brass Band led the cortege to the cemetery and shops closed. Martha died at Armadale in 1909. WIGGINS, Charles Augustus – Died 23 June 1901 at Hamilton. Charles Wiggins was born in Tasmania in 1836 and arrived in Portland with his parents when a boy, attending school at Portland. In his early twenties, Charles went to Hamilton to live with his brother James Wiggins. Charles was appointed the secretary of the Hamilton Common and was a sheriff’s officer and bailiff until 1883. In the same year, he married Emma Lawn. Charles joined the Grange Lodge of Freemasons and was a member of the Australian Natives Association. He was also secretary of the Hamilton Hospital and the Hamilton Pastoral & Agriculture Society. 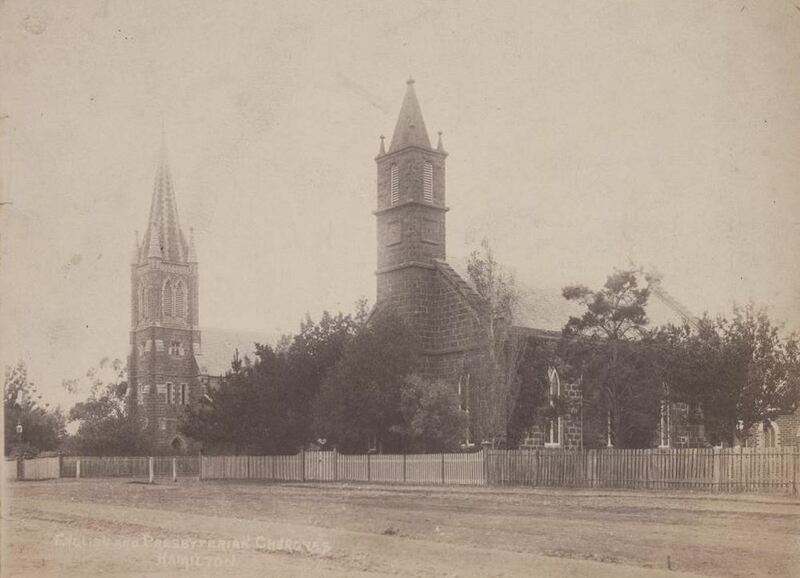 Charles and Emma lived in Clarke Street, Hamilton and attended the Christ Church Cathedral (below). He was the secretary for the church for more than twenty years and a year before his death he was appointed churchwarden. Charles’ death came suddenly, and he was preparing to be the returning officer at the North Hamilton State School ballot box for the upcoming election on 25 June and had received all the relevant paperwork in preparation. CLARKE, Edward Henry – Died 21 June 1918 at Digby. Edward Clarke was born in Tipperary, Ireland in 1847 and arrived at Portland with his parents on the Helen to Portland in 1852. 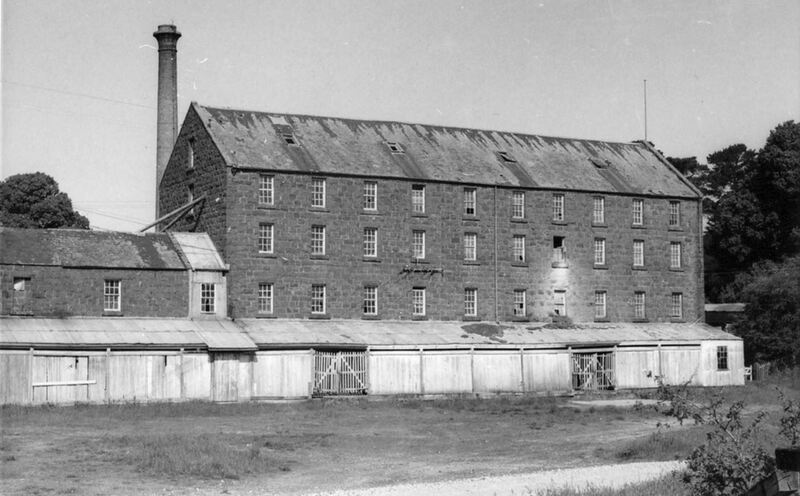 The family first went to the Mount Gambier district before settling around Digby. In 1873, Edward settled on his own property Lovely Banks at Digby. Edward enjoyed football and cricket and was always a spectator at local games. During the war, he donated to the various patriotic and relief appeals. Edward’s wife Elizabeth Taylor died in 1909. Eight of Edward and Elizabeth’s ten children were still living at the time of Edward’s death. His youngest son John Clarke was serving overseas and returned to Australia in 1919. 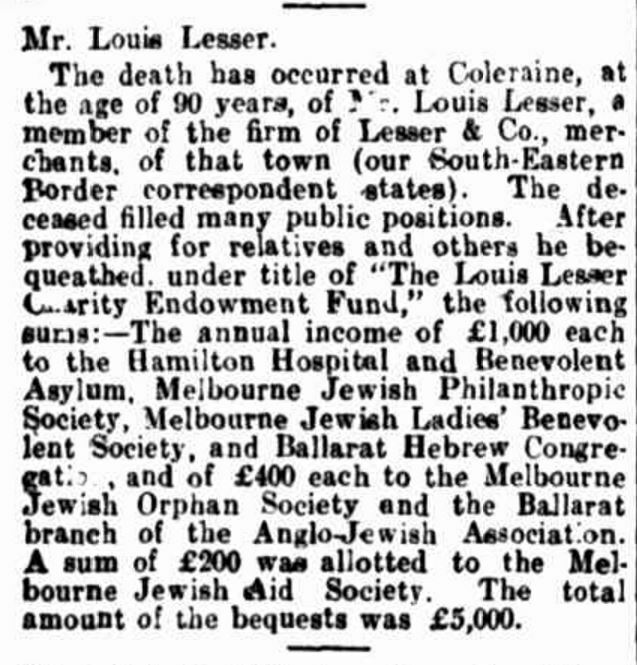 LESSER, Louis – Died 19 June 1921 at Coleraine. Louis Lesser was born around 1832 in Swarzędz, Poland, then under Prussian rule. 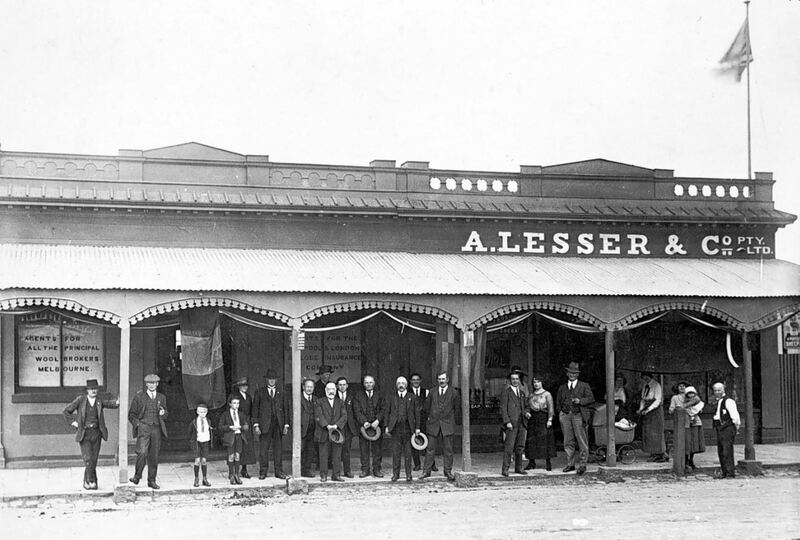 When Louis Lesser arrived in Australia about the 1850s, his first job at Sandridge (Port Melbourne) moving sand from the nearby sand dunes. 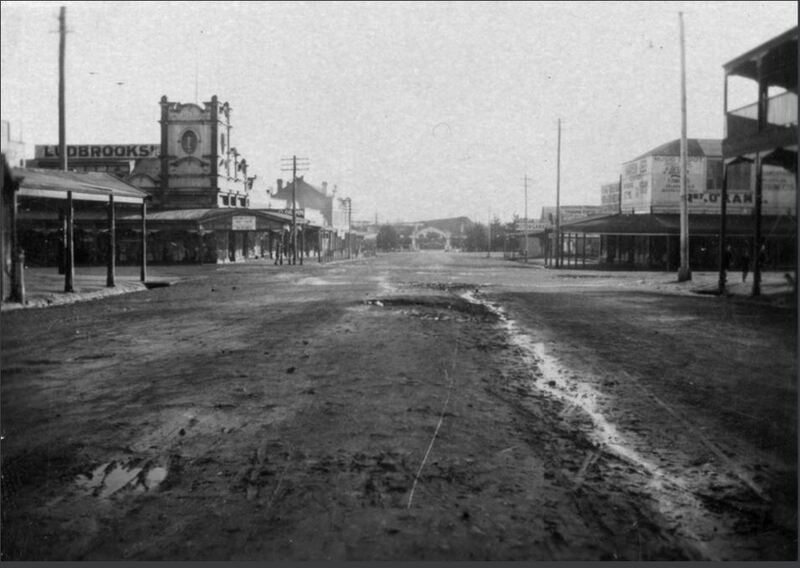 He then went to the diggings at Bendigo and Pleasant Creek (Stawell). Louis’ brother Abraham arrived in Australia and the two moved to Coleraine, opening a store in Whyte Street. The partnership in the store was mutually dissolved in May 1865 when Louis left for London and in 1867, Louis married his sister-in-law’s sister Londoner Evelyn May and they left for Australia. They arrived in Melbourne and made their way to Coleraine to join Abraham and his wife Elizabeth, Evelyn’s sister. The partnership in the Coleraine store appears to have resumed with Louis operating the store with other family members after Abraham’s death in 1886. Louis was a member of the Coleraine Racing Club for sixty years, retiring in 1918 as an honourary life member. He also served on the Wannon Shire Council and was a Justice of the Peace. He was also a generous man, donating to many causes and was one of Hamilton Hospital’s leading donors. In his will, Louis’ requested a fund be established after his death called the “Louis Lesser Charity Endowment Fund” with an annual sum going to various organisations annually. “Obituaries.” Observer (Adelaide, SA : 1905 – 1931) 9 July 1921: 34. Web. 28 Jun 2017 <http://nla.gov.au/nla.news-article165649115&gt;. The Ballarat Synagogue was one of the recipients of the fund, receiving £1000 pounds annually. 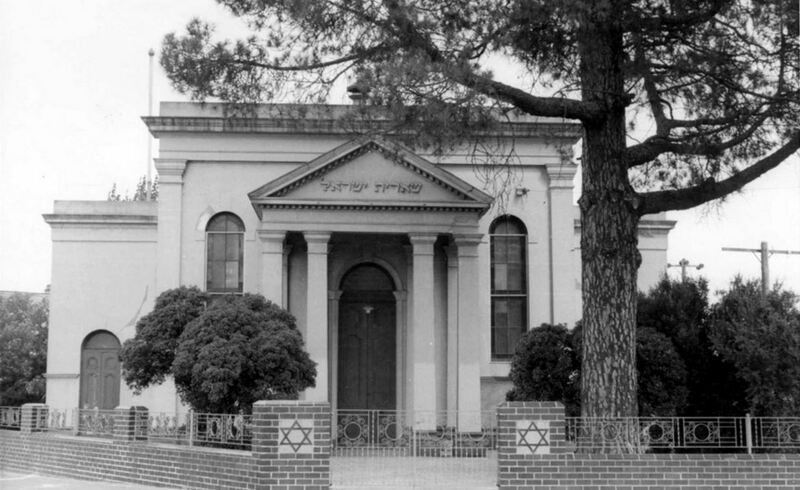 On 11 June 1922, a memorial was unveiled at the Ballarat Synagogue (below) by Louis’ nephew. HARVEY, Martin – Died June 1929 at Cudgee. Martin Harvey was born at Penzance, Cornwall in 1836. 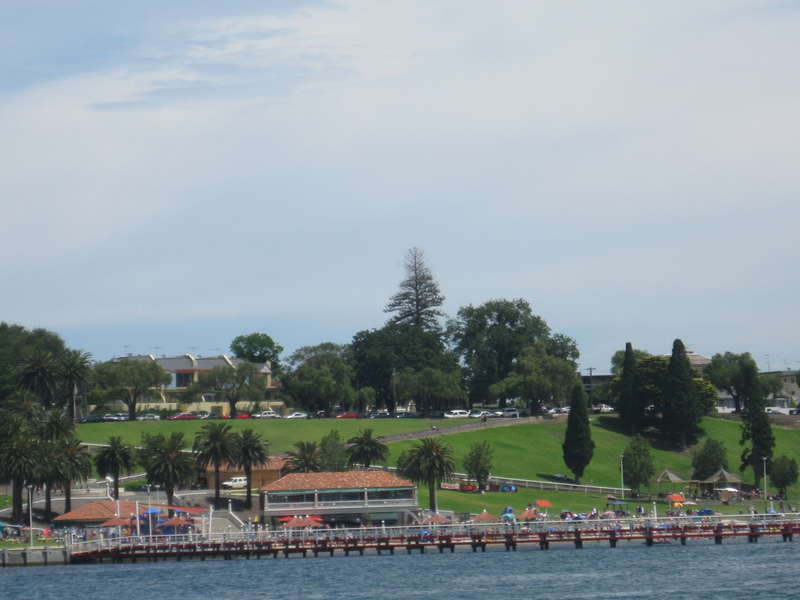 Around 1851, the Harvey family arrived at Geelong where Martin held his first jobs. Soon he was working a bullock team, taking food to outlying settlements, then returning to the Geelong port with a load of wool. 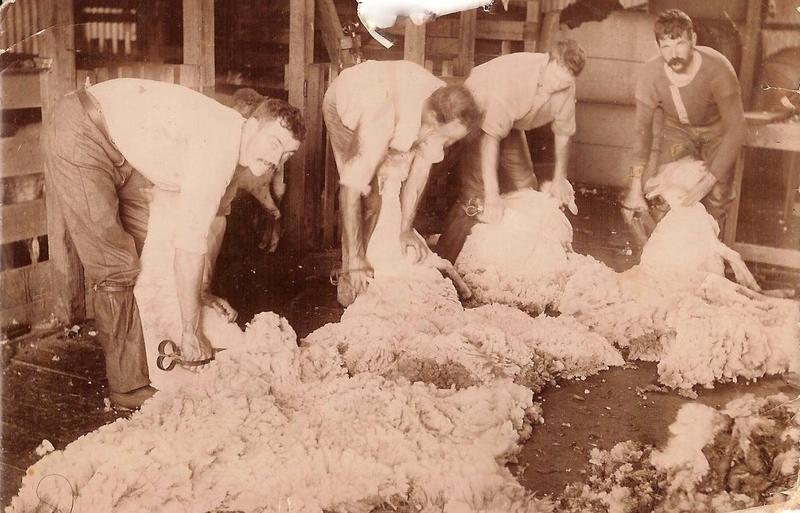 He spent time around the Minyip district moving from property to property working as a shearer. He also took a bullock team on three trips from Ballarat to Dimboola. He married Elizabeth Swan in 1867 and they spent time farming around Ballarat before moving to Cudgee near Warrnambool. Martin finally settled down and lived there until his death at ninety-three. Martin and Elizabeth had seven sons and four daughters. ROBERTSON, Marslie May – Died 15 June 1930 at Hamilton. May Robertson was born in Inverness-shire, Scotland in 1844 and was eight when she arrived in Melbourne with her parents. The Robertson family stayed in Melbourne only a few days before journeying to Portland, then on to Straun Station near Coleraine where May’s uncles had already settled. In 1868, she married William Sudgen Price Lewis, the stepson of Richard Lewis, a former owner of Rifle Downs at Digby. William leased Hilgay near Coleraine until around 1871. They then moved to Hamilton. Marslie was an excellent horsewoman and showed horses including Gold Dust for Samuel Winter Cooke in September 1890 at the Hamilton Show in the Ladies’ Hack Class. Marslie and William had eight children and some time after 1890, the Lewis’ took a young boy Arthur into their care, raising him as their son. They resided at Pine Lodge in Mill Road, Hamilton. In 1914, Arthur Lewis was one of the first Hamilton enlistments for WW1. He died as a result of his wounds at sea on his way from Gallipoli to a hospital in Alexandria, Egypt on 13 August 1915. The shock of Arthur’s death was a great loss to William and he died In October 1915 at Hamilton. Marslie was involved with the Hamilton Red Cross during the war and the Women’s Christian Temperance Union. Each Sunday, she gave out flowers at the Hamilton Hospital. COOKE, Eliza Jane – Died 29 June 1932 at Cobden. Eliza Cooke arrived in Australia when she was eight and the family made their way to Ballarat. In 1866, she married Charles Morehead They arrived in Cobden in 1880 and Charles died in 1881 aged forty. A son was born in August of the same year. 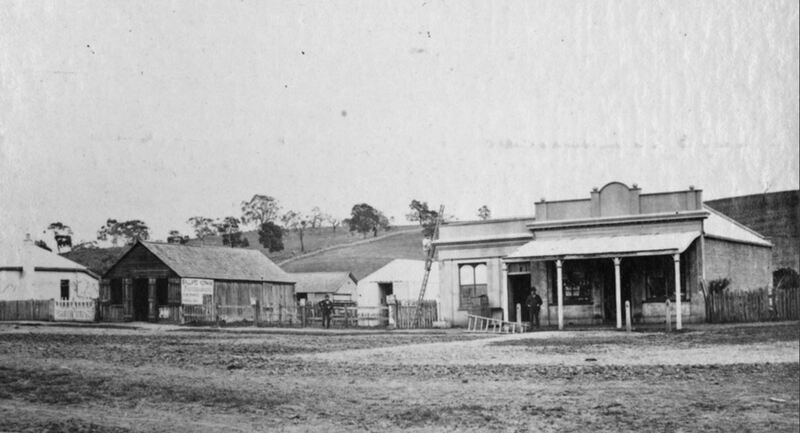 Eliza ran a store in Cobden and from around 1882 was operating coach services departing from the store. 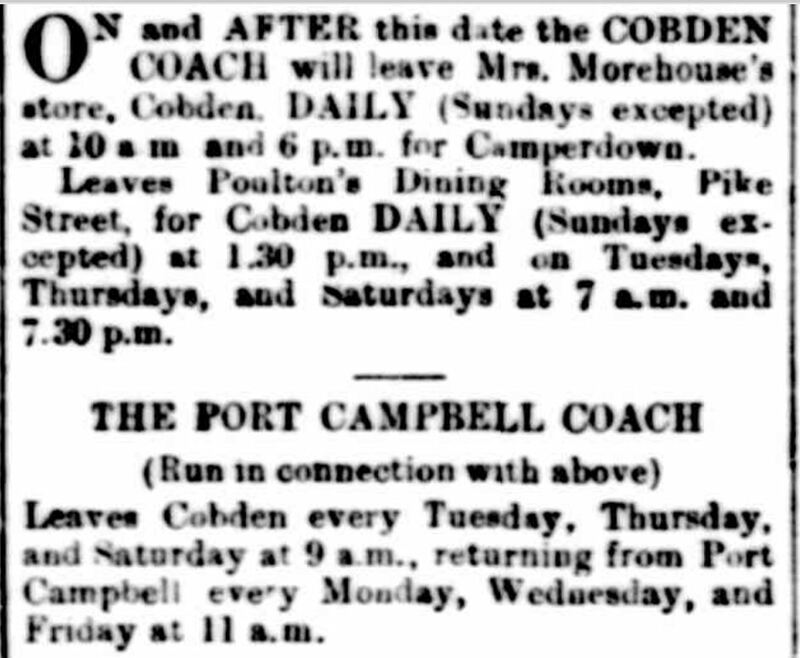 She pioneered coach services between Cobden, Princetown and Peterborough. “Classified Advertising” Camperdown Chronicle (Vic. : 1877 – 1954) 20 August 1889: 1. Web. 29 Jun 2017 <http://nla.gov.au/nla.news-article22474287&gt;. For forty-seven years, Eliza held the mail contract between Cobden and Camperdown. Eliza’s business grew and as her sons eventually joined her. 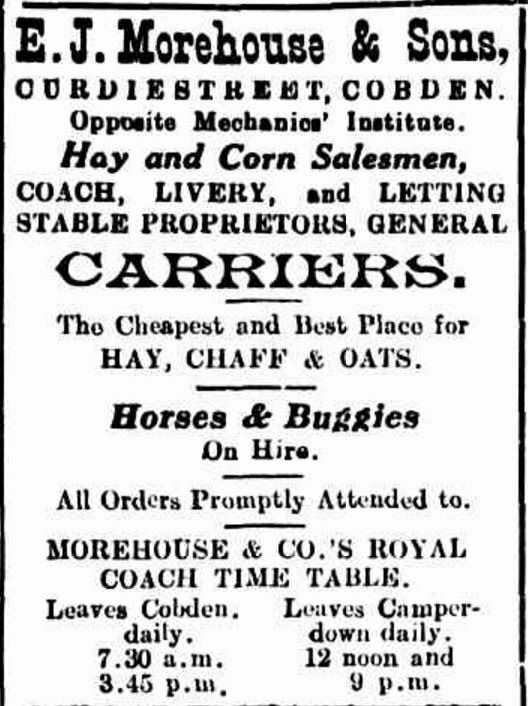 “Advertising” Heytesbury Reformer and Cobden and Camperdown Advertiser (Vic. : 1914 – 1918) 26 February 1915: 3. Web. 29 Jun 2017 <http://nla.gov.au/nla.news-article152613189&gt;. On 5 August 1931, Eliza celebrated her ninetieth birthday at her home Kooringa, Curdie Street Cobden. At the time she was President of the Cobden Ladies’ Benevolent Society and still chairing meetings. JEFFERS, Jonas – Died June 1933 at Cobden. Jonas Jeffers was born at Connewarre around 1848. Around the age of twelve, Jonas walked to Cobrico north-west of Cobden. When he was older he bought land in the district and married Selina Westerland of Terang in 1869. Jonas worked as a carter throughout the district, passing through the Heytesbury Forest when there was only the roughest of tracks. He carted wool from Glenample near Princetown to Geelong and timber for the first bridge over the Sherbrooke River, east of Port Campbell. He also carted wood for the first hotel in Cobden in the 1860s and items from the wreck of the Loch Ard to Colac in 1878. At the time of Jonas’ death, Selina was still living along with ten of their children. HANLON, James – Died 26 June 1940 at Casterton. James Hanlon was born in Dublin, Ireland around 1854 and his family set sail for Australia soon after his birth. He lived in various towns including Narrawong and Hamilton and operated a hotel at Heywood. By the time he was twenty-one, it was thought he must have held the record for the number of successful racehorses he owned or leased. James was always interested in horses and twice travelled to India with horses exported to that country. The first horses he raced were Paddy the Larrikan and My Lord. In 1878, James married Morgey Gooding Smith and they had four sons and two daughters. In 1931, at the age of seventy-seven, Jim walked eighteen miles between Casterton and Coleraine scaling hills like a “mountain goat”. 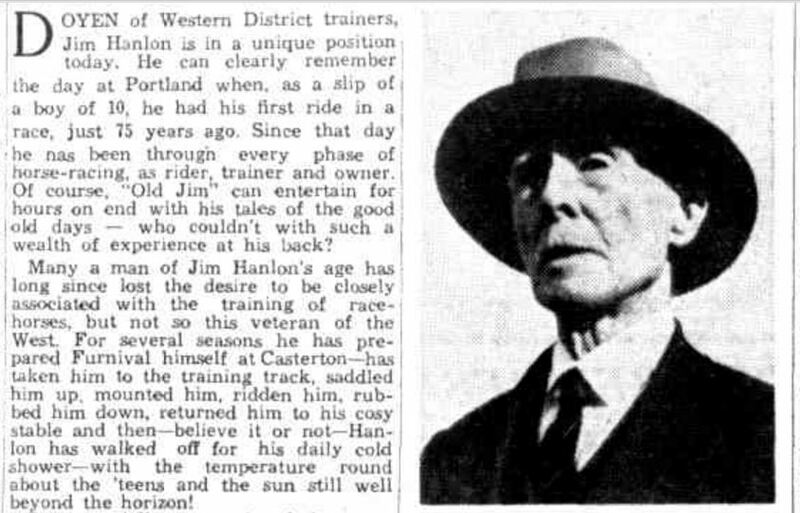 He was in training for a veterans race over a mile at Mount Gambier on September 1931 in which James ran third riding Dutch Dull, beaten by a rider sixteen years his junior. His training feats made the Weekly Times on 3 June 1939. A race meeting about three years earlier was referred to. The jockey didn’t arrive for the ride, so James, then around eighty-four, put on the silks and rode the horse himself. In the year before his death, James prepared a horse called Furnival. “CASTERTON VETERAN’S TRAINING TRIUMPH AT EIGHTY-FIVE” Weekly Times (Melbourne, Vic. : 1869 – 1954) 3 June 1939: 58 (FIRST EDITION). Web. 29 Jun 2017 <http://nla.gov.au/nla.news-article224436779&gt;. Aside from racing, James was a Mason for over fifty years including past Master of the Portland Lodge No. 6. James’ obituary in the Naracoorte Herald of 2 July 1940, named fifty horses he was connected with during his life. There are fourteen new pioneers this month, including two old colonists Cecil Cooke and Jane Fountain. There is Thomas Rutledge born in Port Fairy in 1846 and a son of one of that town’s prominent early residents. Don’t forget if you see underlined text, you can click on it for further information about the subject. Cecil Pybus COOKE – Died 30 September 1895 at Condah. In 1836 when Major Thomas Mitchell returned to Sydney after his third expedition taking in Victoria’s Western District he described as Australia Felix, word spread far and wide. In England, Cecil Pybus Cooke heard of the “good country” in the new-found part of the colony and set off to see for himself. Cecil was a son of a Madras Civil Servant William Cooke and was born in India in 1813. Cecil sailed to Launceston and arrived on 3 April 1839 along with two servants. “Shipping Intelligence.” The Hobart Town Courier (Tas. : 1827 – 1839) 5 April 1839: 2. Web. 13 Sep 2016 <http://nla.gov.au/nla.news-article4159238&gt;. During the voyage, Cecil met George Winter, on his way to join his brother Samuel Pratt Winter who had already made his way to the Western District. Travelling with George was his sister Arbella who caught Cecil’s eye. 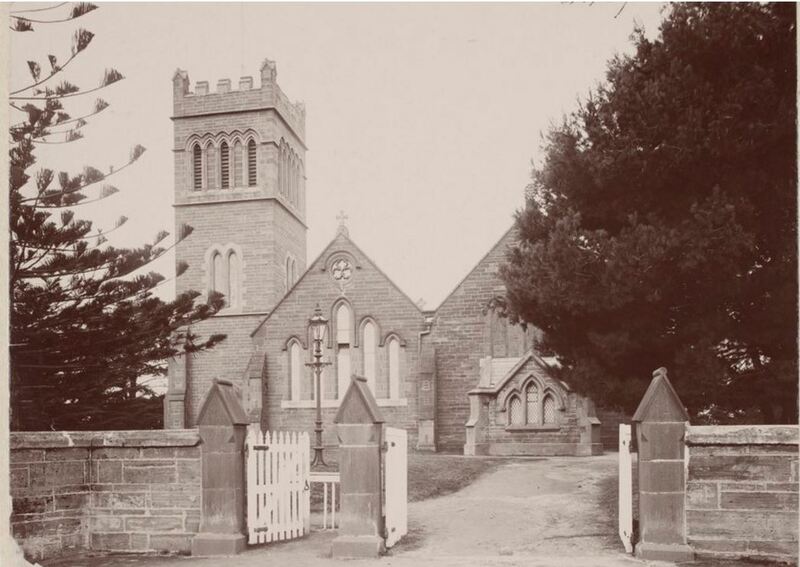 Just a month after they disembarked at Launceston, Cecil and Arbella were married at St John’s Church, Launceston. “Family Notices” Launceston Advertiser (Tas. : 1829 – 1846) 23 May 1839: 2. Web. 13 Sep 2016 <http://nla.gov.au/nla.news-article84751097&gt;. Soon after, the newlyweds boarded a schooner for Victoria arriving at Portland Bay on 10 July 1839. Cecil even travelled with his own accommodation, bringing a hut from England and he set it up in Portland. Soon after, he took up a run on the Smokey River, or Crawford River as it more commonly known. In 1842, a daughter Emily was born and she died the following year. Cecil and Arabella went on to have five sons. Cecil was finding pioneering life tough and things were not going to plan so he went further north to Harrow in 1845 and set up the Pine Hills Estate. More bad luck came when a fire went through the property in 1846. By 1849, Cecil had sold Pine Hills to David Edgar. He then bought Lake Condah Station. In 1864, Cecil sold Lake Condah but the purchaser was unable to make the repayments so he retained it. One of Cecil and Arbella’s sons Samuel Winter Cooke inherited Murndal, west of Hamilton from his uncle Samuel Pratt Winter in 1878. He employed his brother Cyril Trevor Cooke as manager from 1883. Samuel later became a Member of the Legislative Council for the Western Province. Cecil and Arbella spent a lot of time at Murndal. 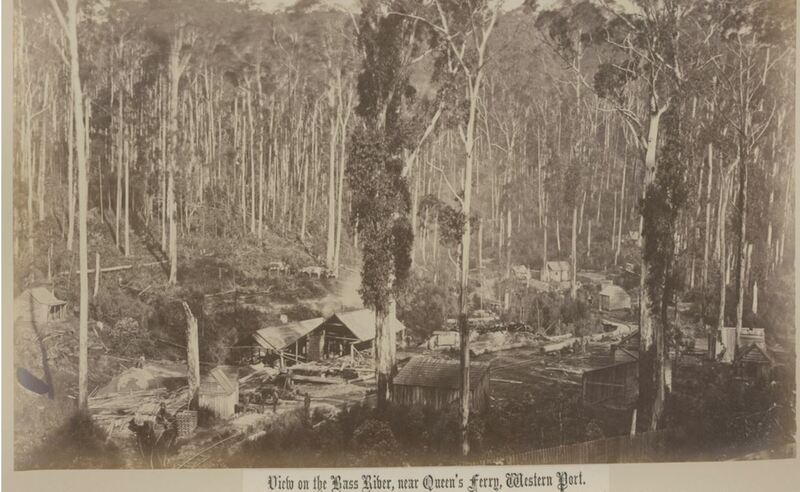 The photos below are a collection of photos of or relating to Cecil Cooke held by the State Library of Victoria with most taken at Murndal. Cecil Cooke was a Justice of the Peace and held court at the Branxholme Magistrates Court. He was Church of England and contributed to the building of St Thomas’ Anglican church at Condah. 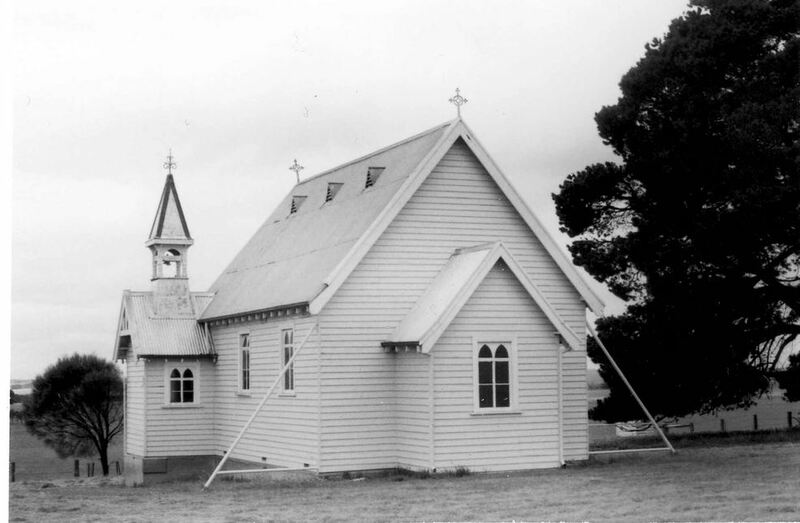 Arbella died on 1 May 1892 and Cecil had a church built at Spring Creek (below) near Condah in memory of his wife with the foundation stone laid on 24 March 1894. Just two years after his wife, Cecil was buried at Murndal Private Cemetery with Arbella. On 13 March 1900, a memorial window was unveiled for Cecil Cooke at the Condah Church of England. Jane FOUNTAIN: Died 10 September 1901 at Hamilton. Jane Fountain was born in Cowick, Yorkshire, England on 5 December 1823. When she was eighteen, Jane married James Blastock and soon after the newlyweds left England for Australia, arriving in Melbourne in July 1841. In 1843, they travelled by bullock wagon via Hamilton to Heywood. Jane and James remained there for a short time before returning to Hamilton, then known as the Grange and in 1844, they purchased the Grange Inn. The only other businesses then were a shoemaker and blacksmiths. 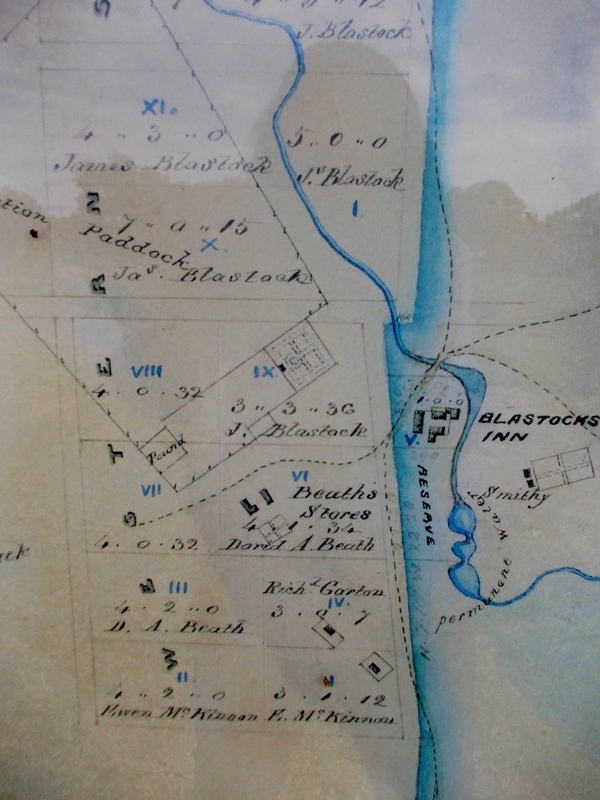 The photo below shows the Grange settlement when Blastocks ran the Grange Inn and shows land nearby owned by James Blastock. One of the guests at the Grange Inn during the Blastock’s time there was Charles Latrobe prior to his appointment as Lieutenant Governor. 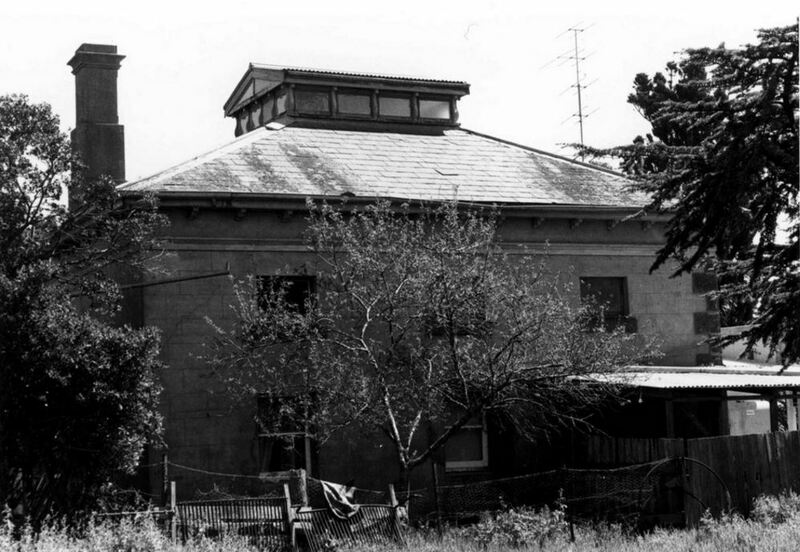 They sold the Grange Inn and purchased the Mooralla Station, north of Hamilton with James’ brother-in-law Mr. Malcolm. Leaving Mr. Malcolm to run Mooralla, Jane and James returned to England for a visit. 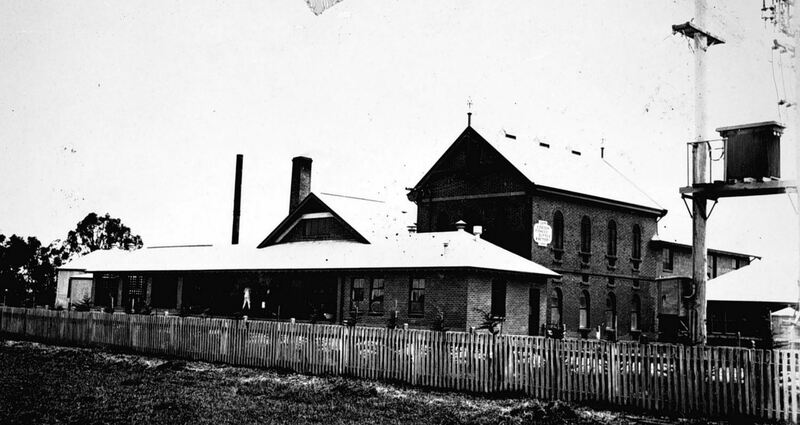 On their return, they sold Mooralla and built the Victoria Hotel in Gray Street, Hamilton. “Advertising” Portland Guardian and Normanby General Advertiser (Vic. : 1842 – 1876) 17 September 1855: 4 (EVENING). Web. <http://nla.gov.au/nla.news-article71572794&gt;. In 1857, James Blastock died aged forty-six and in 1859, Jane married James Wiggins. 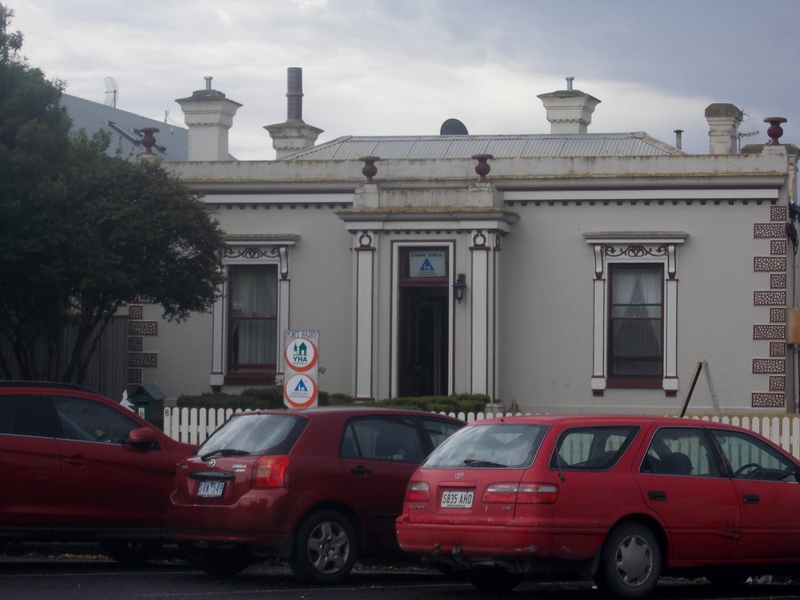 They spent some time living in Geelong then returned to Hamilton and settled at Sandal on Digby Road overlooking the former site of the Grange Inn. Jane was a member of the Wesleyan Church and was involved with the Sunday School. She had an excellent memory of the early days of Hamilton and was often called on for her recollections. In 1893, journalist The Vagabond called on Jane and she was able to show him the route Major Mitchell took when he crossed the Grange Burn in September 1836. 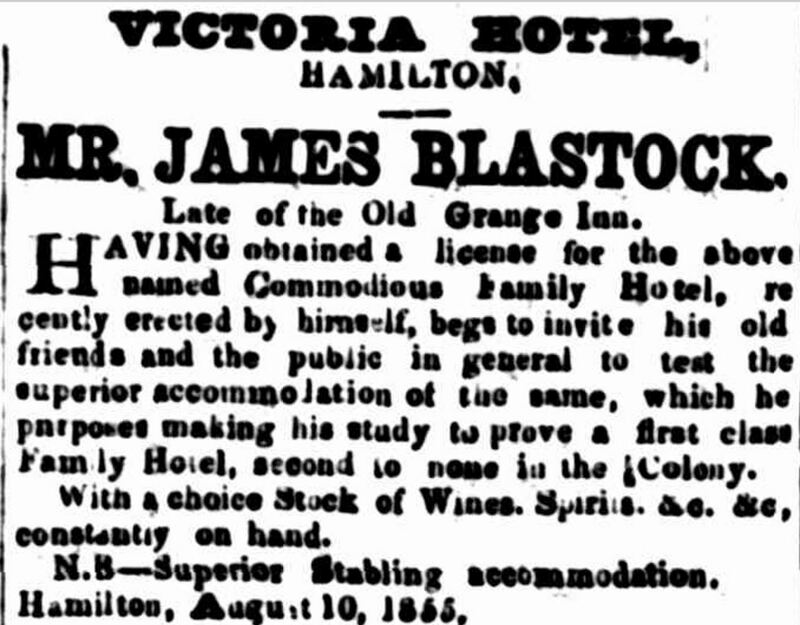 On 24 August 1899, the Hamilton Spectator published an article “The Infancy of Hamilton” featuring Jane’s memories. At the time of her death, Jane was Hamilton’s oldest resident. George SMITH: Died 8 September 1916 at Byaduk. George Smith was born in Devonshire, England about 1843. He arrived in Victoria in 1852 at Portland before moving on to Warrnambool. George moved north to Muddy Creek where he attended the local Primitive Methodist Church. After a few years, he moved to Byaduk, working as a carrier. George left a widow, five sons, and two daughters at the time of his death. Hannah GREGORY: Died 9 September 1916 at Penshurst. Hannah Gregory was born at Preece, Shropshire, England around 1825 and arrived in Sydney around 1864. Hannah then went to New Zealand where she met her husband James Chesswas and they returned to Australia, settling at Penshurst around 1873. They lived in Bell Street and James worked as a tanner and currier. James died in 1896 and Hannah continued on at Penshurst until her death at age ninety-one. Hanorah RYAN: Died 30 September 1917 at Kirkstall. Hanorah Ryan was born in Ireland around 1845 and arrived in Australia at the age of twenty, marrying William Pye in 1865. The couple settled at Kirkstall and went on to have five sons and six daughters. Hanorah was buried at Tower Hill Cemetery. Elizabeth BYRNES: Died 30 September 1917 at Terang. Elizabeth Byrnes was born at Scarva, County Down, Ireland around 1835. She married Thomas Kearns in Ireland and they arrived in 1856 aboard the Anna Maria with their two-year-old daughter to Port Fairy. They settled at Woodford and had four sons and six more daughters. Around 1911, Elizabeth moved to Terang to lived with her eldest daughter until her death. Thomas Forster RUTLEDGE: Died 6 September 1918 at Toorak. 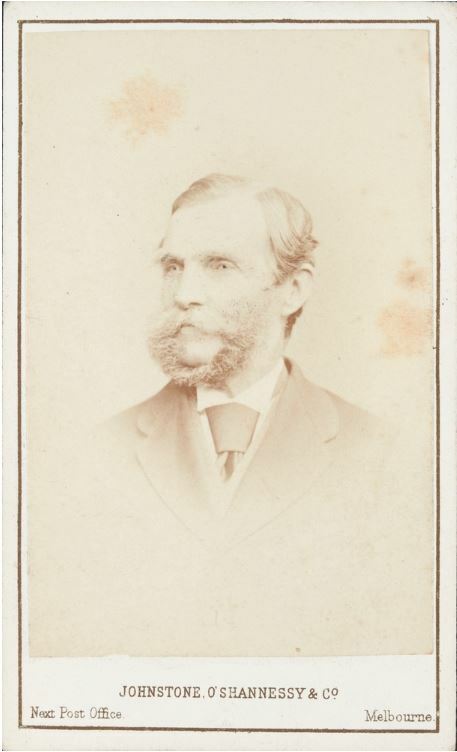 Thomas Rutledge was born at Port Fairy in 1846, a son of well-known resident William Rutledge and Eliza Kirk. His first home was most likely Emoh below, dating back to 1849 and sold by William Rutledge in 1863. In 1876, Thomas married Edith Ritchie. Eventually, Thomas and his brother took over their father’s Farnham run. 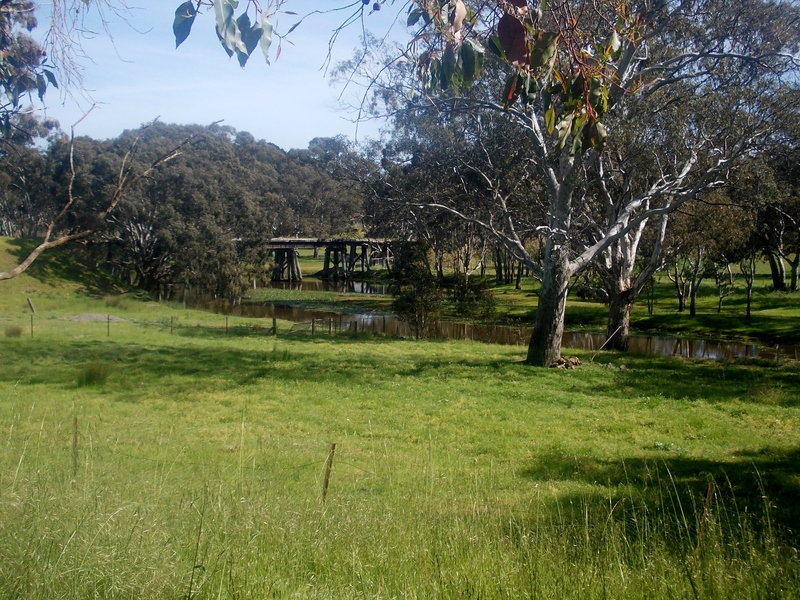 The 5000 acre property covered the area from the Merri River near Dennington Killarney, further west. The two sons split it, with Thomas taking up Werronggurt and his brother the remaining Farnham run. Thomas bred Lincoln sheep and was known as one of the best judges of Lincolns in the state. He also imported and bred Shorthorn cattle and imported many Clydesdale mares from Scotland. A popular and charitable man, Thomas was one of the first directors of the Farnham butter factory and on the board of the Rosebrook butter factory. He also served on the Warrnambool Shire. 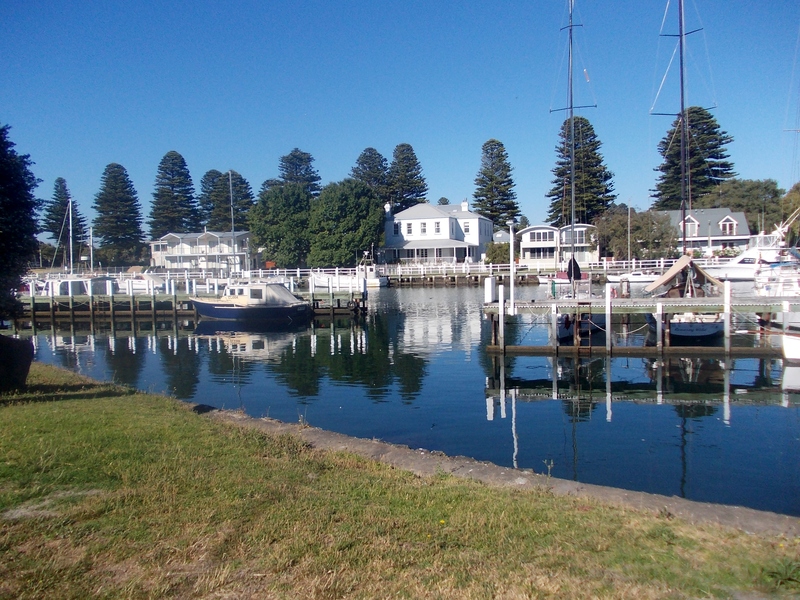 Thomas gradually sold off his holdings and he and Edith moved to Bell Park at Geelong. 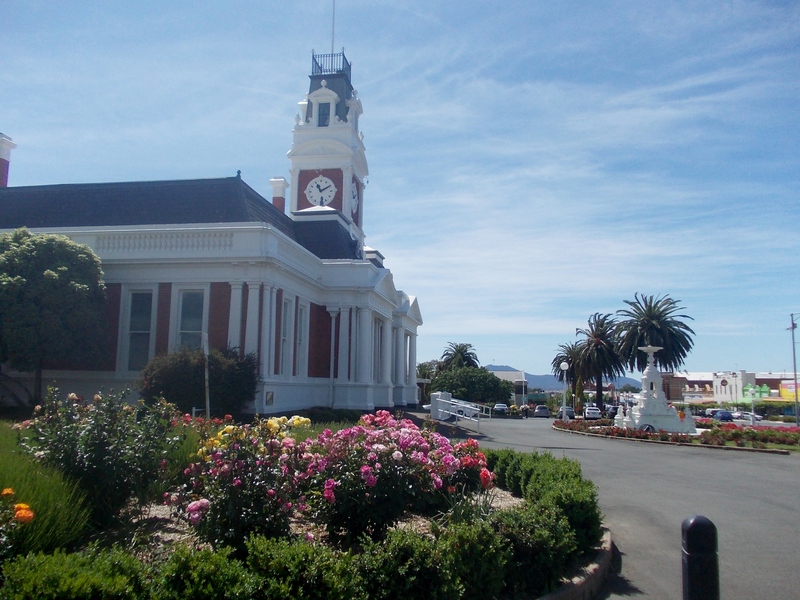 At one stage, Thomas and Edith spent time living in New Zealand then returned to Geelong. They eventually moved to Woodford in Toorak. At the time of his death, Thomas left his widow Edith and five daughters and one son, Geoffrey, at the time a 2nd Lieutenant with the Australian Flying Corps. Another son, Noel was killed at Ploegsteert, Belgium on 3 June 1917 while serving with the 3rd Division Artillery. Marie GWYTHER: Died 8 September 1919 at Hamilton. Marie Gwyther was born in Pembroke, South Wales on 2 March 1824. She arrived in Melbourne around 1855 with her three brothers, George, William, and Henry. They stayed in Melbourne a week before moving on to Portland then arriving in Hamilton on 2 August 1855. At the time, the rent on a hut was one pound and a bag of flour ten pounds. Marie was a Presbyterian and attended the ceremony of the laying of the foundation stone by William Skene of Hamilton’s first Presbyterian church (below) on 21 October 1857. During the 1870s, Marie spent time at Harrow working as a cook at the Hermitage Hotel. Marie never married and was “loved by all with who she came in contact.” She lived in Goldsmith Street and as a keen gardener always had a lovely garden. Isabella McDONALD: Died September 1942 at Geelong. Isabella was born at Mortlake around 1864. 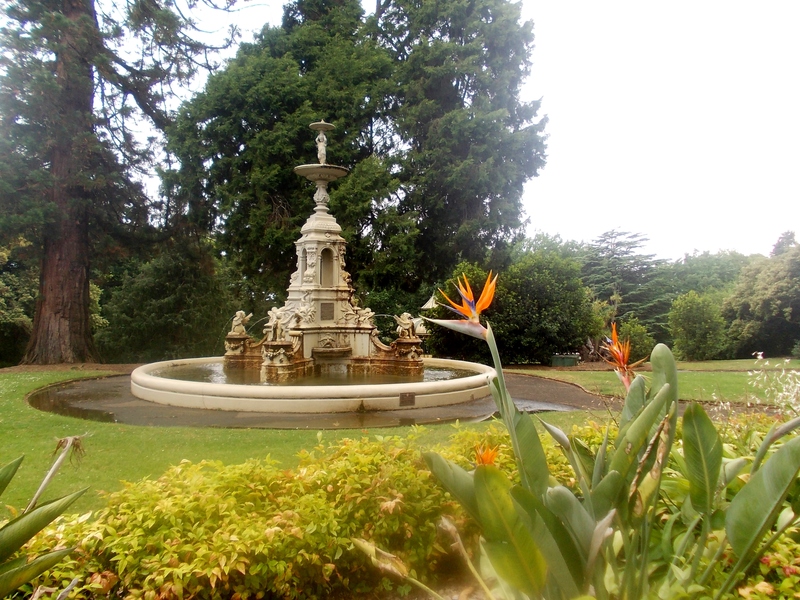 Her father Alexander is thought to have built Mack’s Hotel at Mortlake before purchasing the Camperdown Hotel. In 1888, Isabella married John Charles Haugh and they remained in Camperdown. John worked as a baker and they had a family of six sons and two daughters. John Haugh died only four months after Isabella on 19 January 1943. John PITMAN: Died 4 September 1943 at Portland. John Pitman was born at Macarthur around 1865. While still a teenager, John took up land at Patyah north of Edenhope. In 1897, he married Ellen Montgomery of Neuarapurr. John was interested in athletics and in his early years was a boxer, athlete, cricketer. In his later years, John took up bowls. He retired to Portland in 1921. Arthur PERRETT: Died September 1948 at Colac. Arthur Perrett was born in January 1884 at Camperdown and married Gertrude Swayn at the Pomberneit Presbyterian Church in 1911. They settled at Derrinellum where Arthur ran a boarding house and grocery store. They returned to Camperdown and Arthur worked for Kleine’s Bakery as a delivery driver. He then obtained work at the Werribee Research Farm before managing a branch of the farm at Boisdale in Gippsland. Arthur and Gertrude returned to the Western District in 1921 when Arthur took up a dairy farm at Pirron Yallock, west of Colac. In 1929, Arthur bought a block in the Reads Estate at Dreeite further north. At both Pirron Yallock and Dreeite, Arthur was on the local state school committee. John TEHAN: Died 10 September 1953 at Camperdown. John Tehan was born at Heathcote in 1872 and arrived in the Western District as a young man and worked at Youngers at Warrnambool. 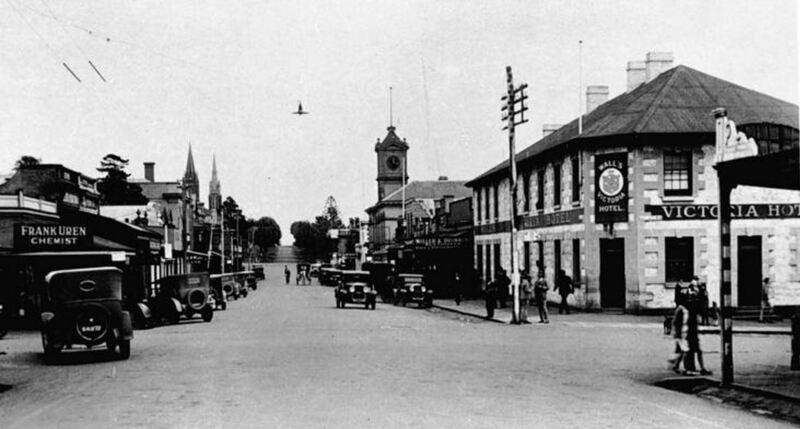 He then worked for Morrisons General Store in Manifold Street Camperdown for sixteen years. In 1900, John married Jessie Peter. They had two sons and two daughters. In 1907, John opened his own shop in Manifold street. In 1913, he called for tenders to build a large new brick store on the site. In 1934, John demolished the shops had four new shops built in their place. 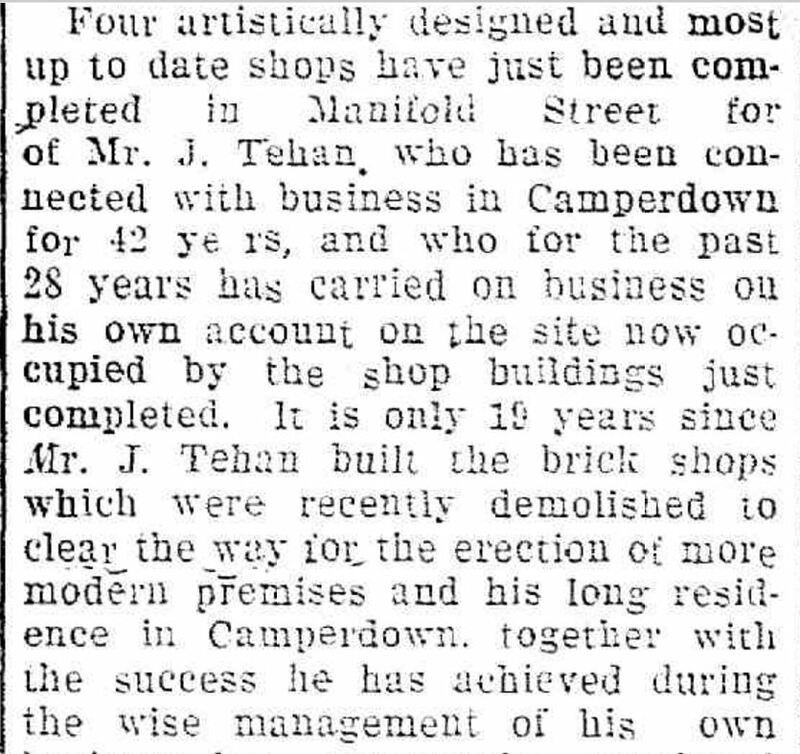 “BUILDING ENTERPRISE” Camperdown Chronicle (Vic. : 1877 – 1954) 15 December 1934: 2. Web. <http://nla.gov.au/nla.news-article27397193&gt;. Thomas’ funeral was one of the largest funerals seen in Port Campbell.